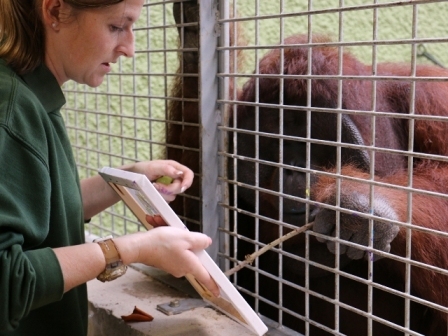 Who would have thought it possible that a Orangutan paints for charity, but Blackpool Zoo is marking Orangutan Awareness Week by auctioning unique works of art hand crafted by its male orangutan to raise money for charity. Ramon, who is 17, has produced a series of paintings after picking up the skill as a youngster while being hand-reared by keepers at Leningrad Zoo in St Petersburg. All funds raised will be donated to the The Orangutan Foundation and is intended to support those helping orangutans whose natural habitat has been devastated as a result of the raging forest fires in Indonesia. 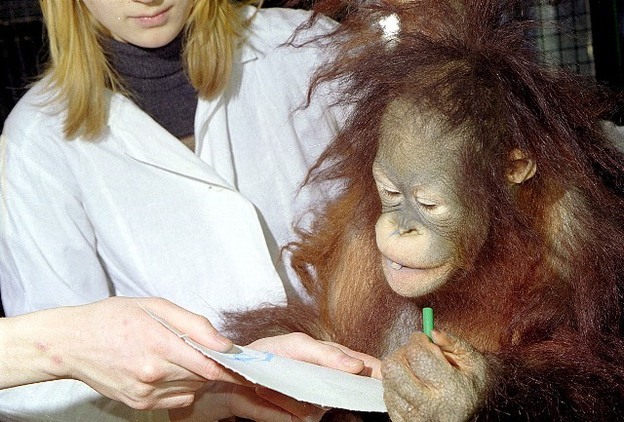 The Zoo is also releasing Ramon’s extraordinary life story, which documents his journey, a Bornean Orangutan, was born on Friday 20th November 1998 at Leningrad Zoo. Ramon arrived in Blackpool in 2003, a move that was recommended by the International Studbook Keeper, who manages the breeding programme for the species. He joined an already established group of three females and one male, which consisted of Beau the alpha, Vicky and her two daughters Cherie and Summer. Luke Minns, Head Keeper at Blackpool Zoo, who has watched Ramon grow from boy to man said: “Ramon has always been a firm favourite here at Blackpool Zoo amongst visitors and staff. “He has such a unique story and it is wonderful to see the transformation in him, he looks all grown up now. 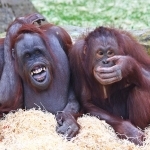 “He has been displaying behaviours typical with wanting to mate and, when he isn’t eyeing up female human beings through the glass, he is chasing his girls around Orangutan Outlook. “I wouldn’t be at all surprised if we will be welcoming some new additions to the family in the coming years.